Theatre Operations helped mount the largest and most technically complicated celebration in the college’s history. The largest of our performance spaces with technical capabilities on par with most performing arts centers. We have over twenty years of experience with a myriad a multicultural groups. Our highly skilled technical crew is led by professionals with over 30 years of industry experience. 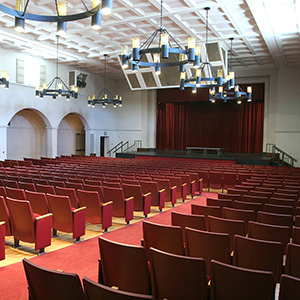 Fullerton College Theatre Operations provides technical and facility support to both campus and community based groups in our three distinct Fine Arts Performance Facilities throughout the year. Our facilities are staffed with experienced technicians utilizing the most current entertainment technology. We offer these three distinctive, spacious, and elegant performance facilities that are ideal for creating a lasting impression and a memorable event. Our largest performance space is perfectly suited to accommodate a variety of different production requirements. This flexible venue is intimate enough for a small presentation to a large theatrical production. Originally constructed in 1936 under direction of the Works Progress Administration. 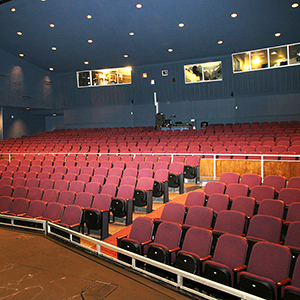 This four hundred seat auditorium hosts a medium-sized stage with an extended apron. 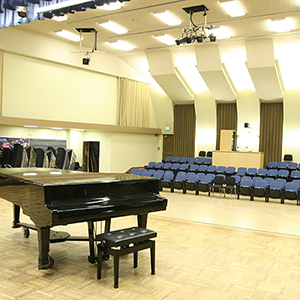 The Fullerton College Recital Hall is located in the Music Building. It has seventy five fixed seats with the capacity to add up to one hundred and fifty seats.